FDO : Fluorescence D.O. Measuring – What exactly does this mean? With the optical method a fluorescent dye is stimulated in the membrane of the FDO 700 IQ by a short wave length lightsource. By falling back into the passive state, long wave light is emitted, which is recorded as a measurement signal. 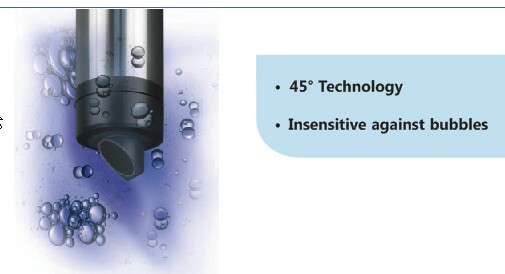 If oxygen contacts the dye by diffusing through the membrane the period of back scattering light is shortened according to the oxygen concentration of the sample. In principle the measurement of the fluorescent signal come back to a highly precise time measurement. D.O. sensors of the first generation had a handful of technical issues to cope with. 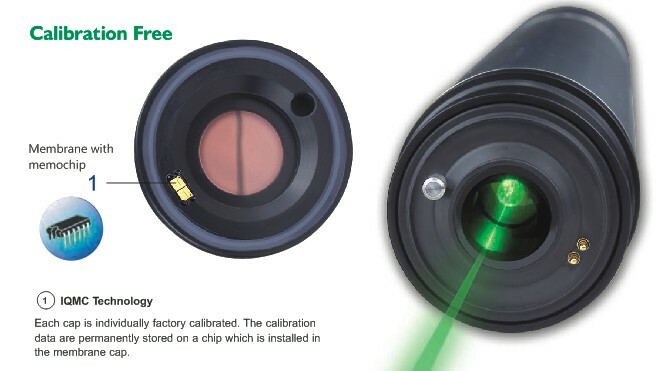 Through consequent development work the difficulties appearing with the first generation sensors could successfully be eliminated with the second generation models. 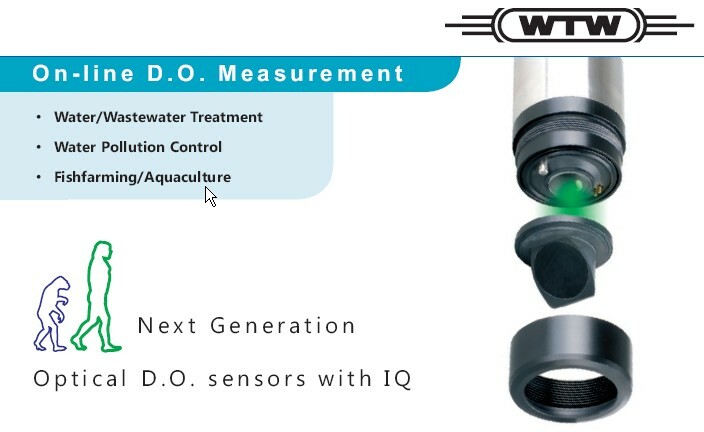 Click the button below to add the DO Meter / Sensor (Dissolved Oxygen) FDO_700_IQ to your wish list.